Music as Alchemy: Journeys with Great Conductors and Their Orchestras. IN “FANTASIA”, Walt Disney's 1940 film of musically inspired animations, each piece begins and ends in the same way, with the silhouetted figure of Leopold Stokowski, a British conductor who died in 1977. He stands alone against a dark red background while the mysterious movements of his hands conjure the music in and out of being. “Fantasia” was hugely popular, and made a notable contribution to cultivating a wider appreciation of classical music. But it also unwittingly peddled the still pervasive myth that conductors are, in effect, magicians—sorcerers who single-handedly extract waves of finely variegated sound out of thin air. Tom Service, a British radio presenter and writer on classical music, has taken the mysterious business of what conductors actually do as the subject of his first book, “Music as Alchemy”. Conductors, including the ones studied in this book, have been scrutinised before, often in considerable detail. What sets Mr Service's book apart, in addition to its breezy tone and infectious, easily worn enthusiasm, is his focus on the relationship between the conductor and his or her orchestral musicians. Many hours have been spent not just in concerts given by the six conductor-orchestra pairs taken as his subject, but in observing them in the rehearsals beforehand and quizzing members of the orchestra about their side of the experience. This is not a method that would pass muster in scientific inquiry—few orchestral players would be rude in print about their chief conductor—but it yields some insightful results. The reader learns, for example, that most players in the Budapest Festival Orchestra do not really mind when Ivan Fischer lays down the law, but that the players of the robustly democratic Concertgebouw Orchestra most certainly do. Mr Service finds that the London Symphony Orchestra see the benefit of Valery Gergiev's high-octane, “everything will be all right on the night” attitude, but that the Berlin Philharmonic rely on a slightly more thorough approach from Sir Simon Rattle. The interviews with the conductors themselves, awkwardly woven into the narrative as full transcripts, are not particularly rewarding. The book's strength is in its mix of stories and perspectives, which ably convey the murky process by which orchestras and conductors build a bond of mutual trust. The most illuminating chapter is perhaps the final one, about the relationship between Claudio Abbado and the Lucerne Festival Orchestra. Famously reticent, Mr Abbado gives little away himself, but his players say it all for him—a fine confirmation of his gifts as a conductor. He is special, the musicians explain, not merely because of his clarity of vision, authoritative analysis or the mysterious energy of his gestures, but rather because of the way he listens. He appears to live the music, inviting them to live it with him. Players need to believe conductors understand what they are doing, and that their individual efforts make a difference. 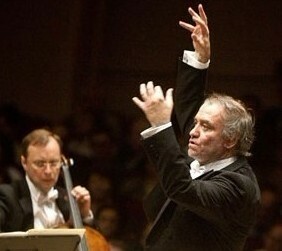 Conductors, in turn, need to trust their orchestras to do everything possible to make the music happen in the moment. The currency of this trust is listening, and one of the most interesting pictures to emerge from the book is that of the conductor as a kind of chief listener. Hand gestures, whether the baton-traced polygons of the textbooks or the mysterious finger-flickerings of Mr Gergiev and Mr Abbado, are construed less as specific directions than as signs of a kind of ultra-responsive listening, a listening which feeds back into how the players hear each other. As the book's title suggests, it may indeed be most appropriate to think of this listening process as a kind of magic. But if so, it is a magic that comes through dedication, not sorcery.